I love to hand letter wood signs. They’re rustic, customizable, and very on-trend. How to hand-letter signs is one of the most common questions I get…I’m so happy to share my own lettering technique with you today! Yes, lots of techniques are out there for learning how to hand letter wood signs…painting over letter stickers is a popular one, especially when creating subway art. 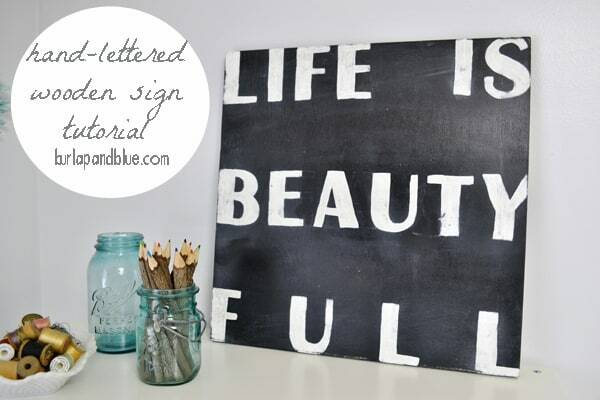 Letter stencils are another easy method. Neither was what I was after, though. I wanted something that would give me large letters, and I also didn’t like the line “breaks” that you see in letter stencils. Step One: Find a font that you want to recreate, and, using your word processing software, type out and print out exactly what you want the sign to say. Also, make your letters the exact size you want them to be in the finished product. 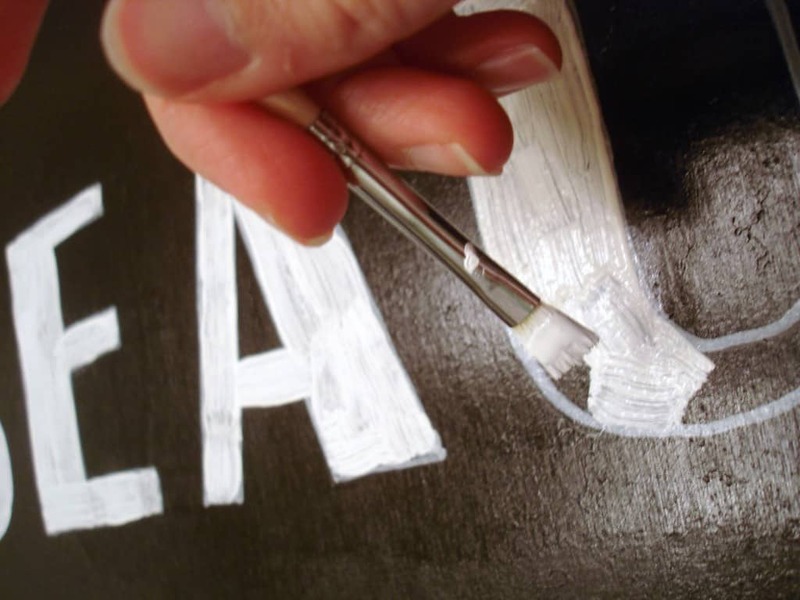 Step Two: Cut out each individual letter (leave a border of white around each letter), and place each letter exactly where you want it on your wood. Take your pencil (I used a mechanical pencil with no lead showing), and outline each of your letters. The marks will be visible, but only barely! Step Three: (This, by the way, is where real artists probably want to stop reading-if they haven’t already!) 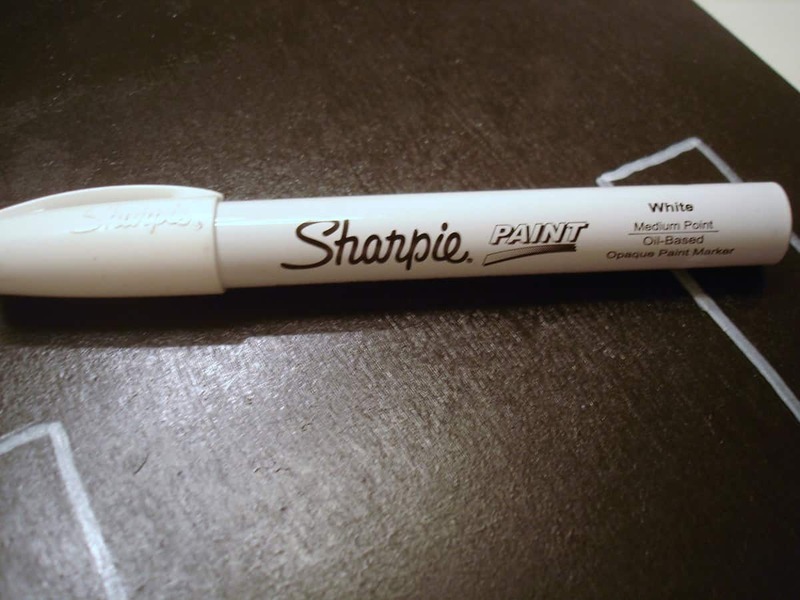 Outline your letters using a paint pen. Step Four: Using a small paintbrush and craft paint. Fill in your letters (I needed two coats). I’d love to hear any tips you all have for hand lettering signs! This is, so far, the easiest method I’ve found…what works for you? Oh how timely for me!!!!! I am presently creating my own wooden signs for our pool area! I tried my ‘lettering’ skills on my first sign last night. I tried to use stencils I bought at AC Moore. It all looks awful! I tried to pencil around the stencils but, it was difficult to cover the pencil lines…. You must’ve known that I was struggling and putting off doing any more of my wooden plaques!! Thank you so much for this marvelous tutorial!!!! I did something similar for my son’s birthday, but on poster board. I just printed out the wording I wanted, traced over it with pencil (pressing hard) and then painted. Wish I’d thought of the paint pen though; I used gold paint, so there must have been 6 coats on each letter because the paint was so transparent. I’ll have to remember that for next time! Found via Pinterest! Try an orange primer, or red under the gold paint, and make sure you use a good brush, should help the many coats.. This is a great tutorial. 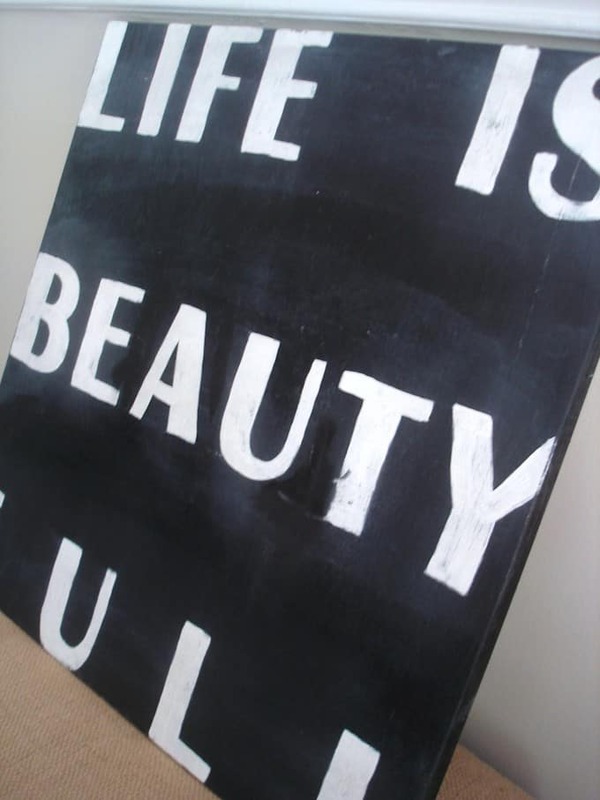 You can also get graphite paper in either black or white to transfer the letters onto the board. instead of pressing w/ the mechanical pencil. It’s fairly cheap and has lots of uses like this. Thanks for sharing! Your technique is so much easier than cutting your own stencil of words! Thanks for the tips. I’m wanting to make a sign but with no Silhouette or Stencils on hand, I was feeling stumped. This will help me a lot! 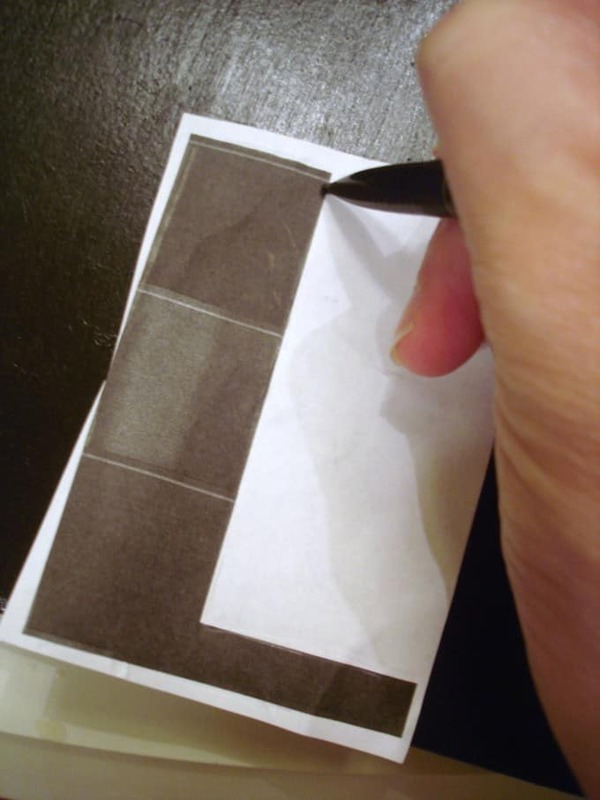 Just use graphite paper and trace your letters with no cutting out. Graphite paper comes in grey like pencil lead and white and works just like carbon paper, but easy to erase. I love it and have been using it for years.